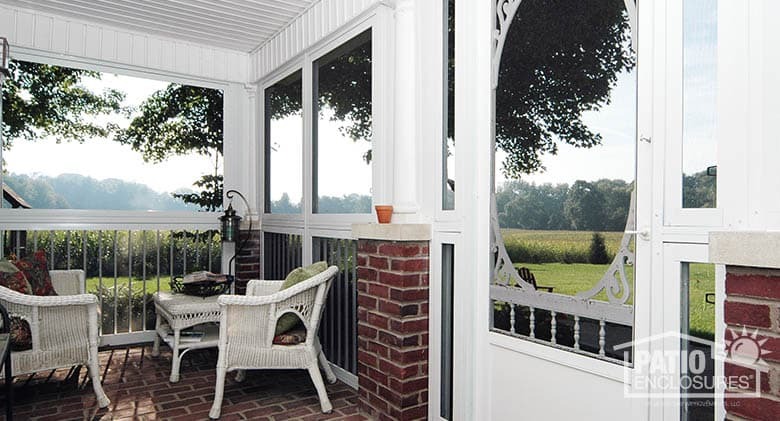 Now that summer is in full swing, there’s nothing many of us would rather do than sit on our porches, drinking an ice tea, in comfortable wicker furniture. It’s true; nothing transforms a porch like a colorful wicker table and set of chairs. But what do you do when your wicker furniture has been damaged from months of storage during the winter months? Or what if you find a beautiful wicker furniture set that’s in slight disrepair? You fix it of course! Repairing wicker furniture is actually quite easy and doesn’t take much time at all. In this guide you’ll find easy tips, tools and tricks on repairing everything from your wicker table and chairs, to your sofa and other wicker furniture accessories. This is a common question, even among some designers and décor bloggers. Wicker is a flexible plant branch or twig that’s used to weave baskets or furniture. Wicker is an old craft dating back to the time of the Egyptians, who also used the material to make outdoor furniture. 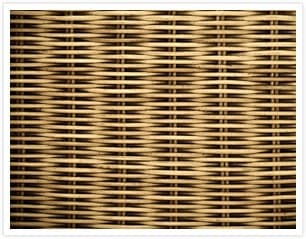 It’s most commonly confused with rattan, which refers to anything woven specifically from the rattan plant. Conversely, wicker can be woven from any plant fiber, including willow, raffia and rattan. Is Your Wicker Furniture Worth Repairing? This is an important question to ask when taking on any DIY task. If the wicker itself or the structure of the furniture is too badly damaged, it would be a waste of money putting any effort into it. If your wicker furniture is of value to you – i.e. it’s a family heirloom or it’s a pricey antique piece—then you may want to consider doing some slight repairs. If you have a vintage piece, then care and repair will be essential to maintaining the longevity of your wicker furniture, even it if is in good condition. Determining whether you have indoor or outdoor wicker furniture will help you determine how best to repair it. Because heat from the sun can be drying, outdoor wicker furniture tends to be made with synthetic materials and treated with resin. Indoor furniture is durable, but because it will likely get more wear and tear, the repairs will be different than outdoor furniture. Synthetic wicker furniture may require nothing more than a thorough cleaning and a new coat of paint. 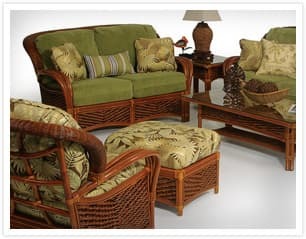 Keep in mind that the type of wicker furniture you have will also determine the materials you will need to repair it. You might notice that a chair or couch will require repair to the seating and the legs, as they might be worn out, loose, or breaking. A table, on the other hand, depending on whether it’s been used indoors or outdoors, may need repairs to broken reeds. Clean the wicker. First dust the piece with a dry cloth. Then, using warm water and a mild cleanser, clean any dirt and/or residue with a wet cloth. If your wicker furniture is stained, use a solution of vinegar and water to remove the stains. Next, check for any loose ends. Tuck the loose end back into the frame, and dab a bit of wood glue onto the end. Hold until the glue dries. Check for loose wrapping. Realign any loose reeds that snake along the legs or arms to its original place. Apply a dot of glue beneath the wrapping and hold until dry. If you need to replace any broken pieces, the first thing you’ll want to do is soak your replacement wicker fibers. This makes the reed more pliable. Soak in water for 30 minutes. Remove the broken piece of reed by cutting each end. Measure out a length of reed and rewrap the damaged area, holding the reed in place with tacks. Glue the ends. Upon drying, remove the tacks. Once the glue has dried thoroughly, treat your wicker furniture with an olive oil finish so that the reed remains supple. Alternately, you can apply a finishing varnish. See how easy wicker furniture repair is? 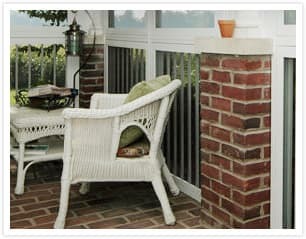 In a matter of hours and with a tiny budget, you can repair your old or damaged wicker furniture to like new conditions. To preserve your wicker furniture, dust it regularly and wipe it down with olive oil to prevent any breaks or splints. 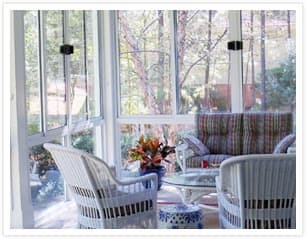 If you want to complement your recent DIY wicker furniture repair project, we recommend treating yourself—and your home—to a few sunroom accessories from Patio Enclosures! 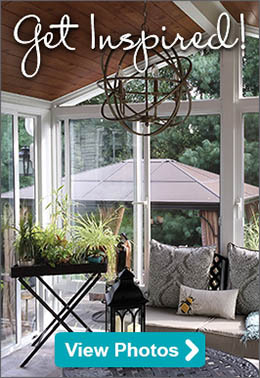 Compliment your beautiful new wicker furniture with a pair of custom blinds, shades, or other sunroom accessories!